I came across this article online and decided to share. Tiwatope Savage Balogun (35) is the first female singer on our list, she is not only a singer but also a songwriter and an actress. Tiwa Savage, at the very tender age of 16 was a backup singer for musician, George Michael and also lent vocals to other foreign musicians like Mary J Blige, Kelly Clarkson amongst a few others. Signed to SONY, Tiwa Savage hit big the Nigeria Music Industry when she released the track, “Kele Kele Love”. She is now signed to MAVIN record label headed by music Icon, Michael Collins AKA Don Jazzy. Chinedu Okoli (31), the one and only Mr. Flavour himself has always been the ladies’ favourite when we talk about the hottest males in the Music Industry. According to researches, Flavour came into limelight when he released the single, “Nwa Baby”, and it’s remix too. The song made waves after its release and what made it even more popular was its video. Before the birth of Nwa Baby, Flavour’s rise to stardom started when he was just a drummer for a local church in his hometown and had released his first album in 2005, “N’abania”. He is currently signed to 2nite Entertainment. Yemi Alade is a mixed breed of Nigerian tribes, Yoruba and Igbo. Her father, a Yoruba man while her mum is Igbo is an Igbo woman. Yemi Alade was spotted after she won the maiden edition of the PEAK TALENT SHOW in 2009. She is famous for her hit singles like “Johnny”, “Ghen Ghen” and “Kissing”. She is a graduate from the University of Lagos, Akoka. Olamide Adedeji (26) hails from the Bariga town of Lagos State. His music career was a necessity of earning a living and was also because of the passion he had for music. Olamide, who makes music in his native tongue, Yoruba, claims that he had a talent he had to explore, that was why he chose to do music. He became quite famous after he released the track, “Eni Duro” when he was signed to Coded Tunes Entertainment. The artiste now heads his own record label, YBNL with over four artistes signed under him. Chidinma Ekile (26) was born blind to the family of Martha Ekile who she calls ‘Iya Lucky’. Chidinma won the third season of the MTN Project Fame in 2010 after which she released her first single, “Jankolikoko” which features music veteran, Sound Sultan. She has won so many awards and she is highly recognised as a very talented songstress in the industry. Starboy Weezy was born Ayodeji Ibrahim Balogun (24) on the 16th of July. The artiste is most definitely one of Nigeria’s favourite entertainers. The artiste rose to Stardom when he was still signed to the Empire Mates Entertainment Music Group and released the track “Holla at Your Boy”. The song and its video made waves the year uit was released, Wizkid, after the release of the Visuals of Holla at Your Boy was said to be the one who brought the ‘Jerk’ dance to the country. He was then called “Africa’s “Justin Bieber”. 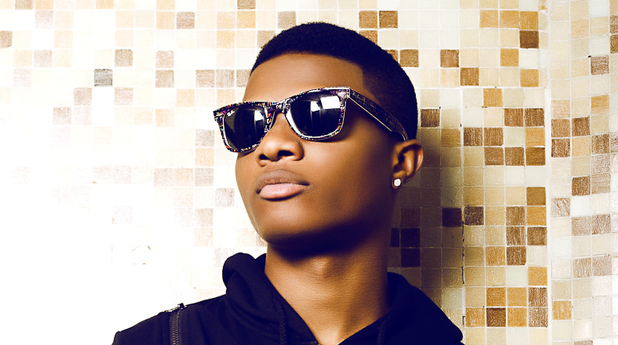 Wizkid is still making it big in the entertainment industry and in the hall of fame. He is reported as the first Nigerian to have over 1 million followers on Twitter. Elohor Eva Alordiah (25), (my favourite rapper/female artiste of all time) is of a truth, one of the most talented women in the Nigerian Music Industry. Her Genre of music is quite different from most Nigerian musicians. She is an Hip-Hop artiste. The rapper began her music career at the age of 10 when after she had learned about foreign rapper, Eminem, stated her writing some bars on her own. She released her first ever studio recording with Capital Hill Music artiste, Tha Suspect, “I Dey Play” and has first appeared in a music video for one of Strbuttah’s mixtape, “Make Em Say”, she was also featured in Tha Suspects “I No Send You” in 2011. Eva became quite famous in the year 2012 after she released the visuals for the incredible single “High”. Omo Baba Olowo himself! This list wouldn’t have completed if David Adedeji Adeleke was not included in it. It’s almost hard to tell who the fan’s favourite is between himself and Wizkid. Davido became very popular after he released his first ever recording “Back When” which features Naeto C. The song made frequent airplay and this was the beginning of his fame. The artiste who is not only an artiste but also a producer has produced for numerous artistes like Tiwa Savage, Skales and many others. He has won numerous awards both in and out of the country, including the BET Awards. Eniola Akinbo popularly known with stage name, Niyola became famous for her track like “Toh Bad” which is part of the first songs she released with the Empire Mates Entertainment music group. She is tagged as he first Lady of the EME music group. Her road to stardom began when she emerged as the runner up at an Amen Starlet competition. She professionally started her music career in 2005 when for a while she was signed to Eldee Da Don’s TRYBE Records before becoming the first Lady of the EME in 2012. Patrick Nnaemeka Okorie (24) is one Nigerian artiste who had a really poor background but thanks to his God given talent, he was able to make good use of it and give himself a good name. Patoranking was an underground artiste for music group, X-Project before he signed a record with K-Solo, the same person who kick started Timaya’s music career. He later on moved to Timaya’s Dem Mama Records and released the hit track “Alubarika”. The song which topped charts for weeks on the radio and music stations was the birth of his Music glory. He became really popular after his smashing hit single, Girlie where he also featured Tiwa Savage in its remix. He announced early February this year, 2015, that he is now signed to VP records. Omawumi Megbele (33) is one of the industry’s most talented female artistes. The GLOBACOM Brand Ambassador graduated from Ambrose Alli University with a Law degree. In 2005, Omawumi moved to PH City to work with her family’s law firm, “O.S Megbele & Associates”. In 2006, she auditioned for the West African Idols and was voted as the 1st runner up of the competition when it ended in 2007, which of course, was the stepping stone of her career. Korede Bello (18), a Piscean, is said to be the Industry’s most youngest Mega Super Star. He is signed with the MAVIN’s record label alongside Reekado Banks and Aphrodi’ja. The head of the Supreme Mavin Dynasty, Michael Collins, (Don Jazzy) revealed that he met his new recruits via the Internet, Korede was one of these new recruits. He was signed to Mavins on the 28th of February 2014. He gained popularity after he made a ‘s..exy wink’ in the Video of Mavin’s Hit track, Dorobucci. Enetimi Alfred Odom (38), calls himself “the plantain seller”. The artiste has quite an interesting story. He dropped out of the Univeristy after he failed his first semester examinations. This didn’t hold Timaya back, he came down to Lagos to further his music careee. First, he worked as a backup singer before he left to become a Solo artiste and worked with K-Solo, who produced his hit track, “Dem Mama”. Dem Mama was a very popular song which opened doors of opportunity for the artiste, and so began Timaya’s rise to fame. “Plantain Seller’ also pushed him to limelight. Panshak Zamani (28) is one of the most awarded and accomplished musicians in the Nigerian Music Industry. Under the Chocolate City record Label, Iceprince rose to Stardom when he released the hit single “Oleku”. He had been punching some lines with who he calls his brothers, MI Abaga and Jesse Jagz before they became famous. Iceprince was signed to Chocolate City in 2011 after MI and Jesse Jagz. Sidney Onoriode Esiri is the son of late Nollywood actor, Justis Esiri. Dr Sid is not only an artiste but also a songwriter and a dentist. He was first signed to Eldee’s Trybe Records ordinarily as a backup dancer before he had his chance to hit the mic and become an entertainer in 2002. The next year after this, Sid released his debut single “Don’t Stop” which topped charts for weeks after its release. Dr. Sid was well known after his hit single, “Pop something (Champagne)” featuring Dbanj. Aituaje Iruobe, popularly known with stage name, W.A.J.E which is acronym for (Words Aren’t Just Enough) is a natural born singer who had been singing from a very tender age at the Word of Faith Group of School’s Choir. The incredible songstress’s stardom began when she was featured in P’Square’s hit track, “Do Me”. The song was widely known within and beyond Africa and some other parts of Europe. This helped boost her career and thus, the birth of her spotlight. Bukola Elemide (33) was born in Paris, France. Her parents relocated to Nigeria when she was only 2 years old. She grew in Alagbele,, a border town in Ogun State close to Lagos. ASA met her manager/friend in 2004 who introduced her to famous producer, Cobhams Emmanuel Asuquo, who later on became her partner and producer. She released tracks like “Eye Adaba”, “Jailer” in Nigeria which were very popular songs at that time. She signed with Naïve Records and partnered with Cobhams and created her first album, Asa. Azubuike Chibuzor Nelson(29) AKA Phynofino is an highly influential rapper coming from the east side of Nigeria. Phyno represents the tribe of the Igbos. His music career started as a producer in 2003. While in school, Phyno had a flair for music so he played the drum and the piano. Phyno came to limelight after his Smashing hit single “Ghost Mode” featuring Olamide. Just before his Stardom, Phyno told one of his friends that he looked up tp rapper, Mr. Raw. He fully started his music career when he came to Lagos in 2010. Right now, He is the co-owner of Made Men Music Group, a record label home to artists such as Emma Nyra, Tekno, Selebobo and Baci. Iyanya sings in English and Efik. Oritse Femi came into limelight after his Hit Remake of fela Kuti’s “Double wahala” song in which it earned him 2 nominations at the 2014 City People Entertainment Awards, winning the award for Most Popular Song of the Year. In 2014, he released the remix for his version of the song featuring D’banj. Who agrees with Joro Olumofin on the 20 Things A Guy Should Never Ask Or Do When He Meets A Lady?